Saturday July 28, 2018 @ 10:00 A.M. 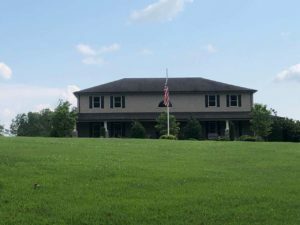 Approximately 30 minutes from downtown Nashville in countryside setting. This 6,600 +/- Sq. Ft. Executive home features all of the amenities one can imagine such as 2,800 Sq. Ft. wrap-around porch, open floor plan, in-ground pool with pool house. Adding to this estate is a 3 bay, two story garage accented by giant recreational area with 2 bedrooms and bath upstairs.. The property is rounded out by a 2 stall stock barn and a 40’ 80” workshop. Driving Directions: From downtown Nashville, take I-24 West, Keep right at the fork to stay on I-24 W follow sighs for Clarksville/Louisville/I- 65 N, Keep right to stay on I-24 W, Keep left at the fork to stay on I-24W toward Clarksville Take exit 35 toward US-431 N/Whites Creek Pike. Turn right onto US-431, Continue on US-431 N/Whites Creek Pike to Bidwell Road.. Watch or Auction Signs. Special Note:All announcements made day of sale take precedence over prior advertising. All information deemed reliable but not guaranteed. 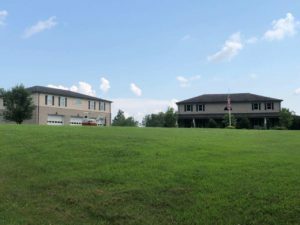 This perfectly situated ten-acre lot, located at the end of a gated, winding 1,000 foot drive is just 30 minutes from downtown Nashville, even less to Clarksville in the quiet community of Joelton, TN in Davidson County. Resting high on a quiet hillside, this custom-built home features a superb floor plan with fabulous rooms for entertaining and quality family living. Natural light cradles the huge executive chef-quality kitchen, with clear eye lines to almost all areas of the home, including the outside hills, inground pool and countryside. The wonderful owner’s suite is private and has its own luxurious bathroom that features ceramic tile and abundant closets. This comfortable 6,600 plus/minus Sq. Ft. executive home features all of the amenities one can imagine. It has been constructed with King bricks, steel joists and metal studs making this home safe, strong and almost maintenance free. It features a 2,800 Sq. Ft wrap-around porch and an open floor plan. The huge upstairs has been designed for entertaining, while also housing two bedrooms, along with two baths. Downstairs, you will find a relaxing master suite, along with the spacious open executive chef kitchen, and a large formal dining area. There is an inviting entrance featuring a beautiful curving staircase and relaxing family room. Out back, you will find a refreshing inground swimming pool and pool house with a bar and dressing/rest room. As one would expect, this property also features a detached, large 3-bay 2-story garage with restroom. The upstairs houses a giant recreational area with 2 more bedrooms and a full bath. BUT THERE IS MORE! Rounding out this fantastic property, you will find a useful 1,100 Sq. Ft. 2-stall stock barn. Finally, tucked away at the rear of the property, is an almost unbelievable 40′ X 80′ workshop that features 100 amp electric service, water, 16′ eves and 2 doors, one 12′ overhead and one sliding. You could look the rest of your life and not find a property as nice as this in the Nashville/Middle Tennessee area! So, don’t miss this rare opportunity to purchase this wonderful property at your price. See you at the Auction! 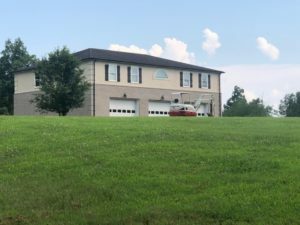 Ten percent (10%) Earnest Money down day of auction, with balance due at closing on or before Monday, August 13, 2018. Taxes to be prorated at closing. All parties to be responsible for his/her closing expense. Seller to provide Title Insurance. Buyer may have the property inspected prior to Auction for any and all concerns, etc., at his/her expense. Property is being sold “AS IS/WHERE IS” with no warranties expressed or implied. A Ten Percent (10%) Buyer’s Premium will be added to the Final Bid to determine the Total Sale Price. Absentee bids accepted with prior approval of Auction Agent.